AHF Member Highlight: Katalin Kádár Lynn, Ph.D.
Dr. Katalin Kadar Lynn is a sustaining AHF Kovats Circle member. She was born in Budapest and emigrated with her family to Germany at the end of WWII and then came to the US as part of the Displaced Persons immigration program. She was educated in the United States (BA from the University of Colorado and an MLA from Washington University in St. Louis, MO). After a long career in the world of business, including a stint as a business professor at Lindenwood University in St. Charles, MO, she returned to graduate school to obtain a PhD at ELTE in Budapest which she received with honors. Her area of specialization is 20th century history, with an emphasis on WWII, the Cold War, United States – East European political relations and Émigré Political Movements. Since she returned to graduate school to pursue her doctorate she had several research papers published both here and in Hungary. Her dissertation topic was “Tibor Eckhardt his American Years 1941-1972” published by L’Harmattan Press, Paris and Budapest in Hungarian and in English by East European Monographs, Boulder and distributed by Columbia University Press. 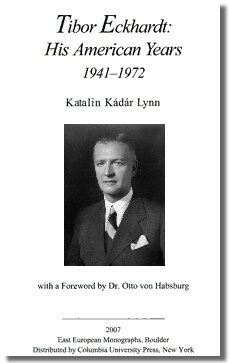 The Introduction to her book on Tibor Eckhardt with personal reminiscences about him, was graciously written by Dr. Otto von Habsburg, a friend of long standing of Tibor Eckhardt. 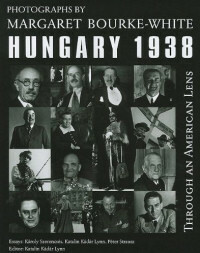 Through an American Lens, Hungary, 1938: Photographs of Margaret Bourke-White (East European Monograph) is Kadar Lynn's recently discovered treasure trove of mostly unpublished photographs taken during the artist's month-long trip to Hungary in 1938 by Life Magazine's most renowned photojournalist, Margaret Bourke-White. 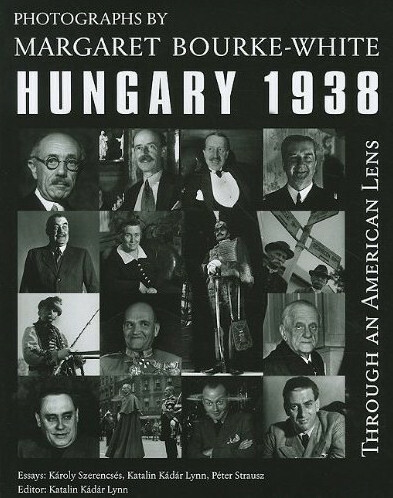 The photographs not only furnish us with a look at pre-WWII Hungary and its people, but because Bourke-White took unsentimental portraits of the major political figures in Hungary, from the far right to the far left, Communists, Fascists, Socialists, Social Democrats, Smallholders, as well as the primary government officials, it provides us with an insight into these individuals and history provides us with the consequences of their actions. The Inauguration of "Organized Political Warfare": The Cold War Organizations sponsored by the National Committee for a Free Europe/Free Europe Committee discusses the Bulgarian, Czechoslovakian, Hungarian, Polish, Romanian and Baltic States national committees, which were formed to lead the propaganda battle against the growth of world-wide communism, and which represented the U.S.-based exile leadership of those satellite nations. The primary sources of this research were the archival records of the two radio divisions, acquired by the Hoover Institution Archives at Stanford University in 2000. [Buy Books by Katalin Kadar Lynn] on AHF's Amazon store!